Welcome to my stop on the blog tour for the YA mystery novel Two Can Keep a Secret by Karen M. McManus. This blog tour was organized by Rockstar Book Tours. On my stop, I have my review for you to read. There's also a tour wide giveaway at the bottom of this post. Be sure to check out the other blogs participating in this tour by clicking here. Enjoy! When I read about Karen M. McManus' new book Two Can Keep a Secret, I added it to the top of my to read list. I loved her previous book One of Us is Lying, so I figured her new book would be just as good. Luckily, Ms. McManus did not let me down. The synopsis of Two Can Keep a Secret really drew me in. I enjoyed they mystery behind who had killed the first homecoming queen, Lacey, and who was responsible for the current missing homecoming queen nominee as well as the mystery surrounding Ellery's and Ezra's aunt Sarah. Every time I thought I had figured out who the culprit was, another spanner was thrown into the works, and I would suspect someone else. This book definitely kept me guessing throughout, and I was wrong about who was responsible. The plot twist are great, and I can't say that I ever saw any of the plot twists coming. The pacing starts out slow up until Chapter 14, and I found myself wondering if I had made a mistake with reading Two Can Keep a Secret. Once I got to Chapter 14, the pacing picked up, and I found myself fully immersed in what was happening. Not once did the pacing become too slow again. I couldn't wait to find out what would happen next. The characters in Two Can Keep a Secret were all believable and fully fleshed out although I would have liked to know more about Sarah. There was some closure to Sarah's disappearance, but I felt like more information would have been nice. My favorite characters were Malcolm, Ellery, and Katrin. I loved watching Malcolm's and Ellery's relationship bloom. There was just something about Kartin that I really liked. I also liked the character of Brooke. Trigger warnings for Two Can Keep a Secret include some underage drinking, profanities, some sexual innuendos, violence, attempted murder, and murder. 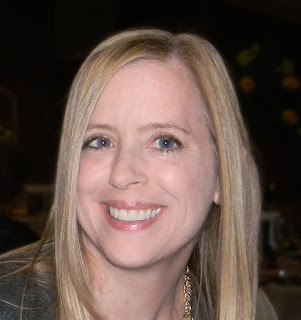 Overall, Two Can Keep a Secret isn't as good as One of Us Is Lying by Karen M. McManus. However, it's still a great read. It has some great plot twists and well written characters. 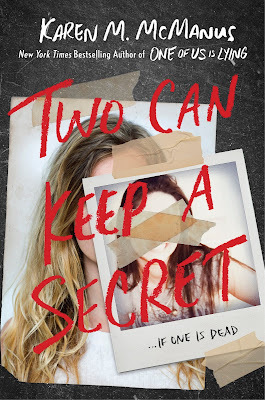 I would definitely recommend Two Can Keep a Secret by Karen M. McManus to those aged 16+ who love a good mystery. Three winners will receive a finished copy of TWO CAN KEEP A SECRET, US Only. This book both looks appealing and sounds good. I’m looking forward to the read. Thank you for the giveaway. The book sounds good! The cover artwork looks great. Great cover and I do like a good mystery. I loved her previous book, and I cannot wait to read this one!